Available NOW in hard cover, paperback and Kindle! My Life in Electronic Countermeasures and My Battle Against the FBI. Martin Kaiser is a legend within the nation's covert electronic surveillance fraternity. With a hot-wired microphone the size of a pea, Kaiser built devices that could bring down a government, prevent a terrorist attack, or provide blackmail for a government agency to smear a well-known American Civil Rights leader. Now, in Odyssey of an Eavesdropper, he steps from the shadows of national security to tell his own story-a journey from an abusive childhood in a Pennsylvania coal-mining town to icon status in the black ops world of U.S. spy operations as the premier producer of electronic surveillance gadgets and dirty tricks, and then his battle for professional and emotional survival with the FBI bent on his destruction. Kaiser's clients included the FBI, the CIA, the DEA, Secret Service, Army, Navy and Air Force Intelligence, as well as foreign intelligence services. However, as a result of his testimony before the National Wiretap Commission in 1975, the FBI began a vendetta against Kaiser, nearly driving his business into bankruptcy and resulting in his eventual indictment on charge of illegal wiretapping, conspiracy and transporting an illegal eavesdropping device across state lines. Acquitted of all charges and having reinvented himself, Kaiser tells his tale. You probably don’t recognize my name — unless you’re a spook. I’ve long preferred that anonymity. In my business, I’ve worked and lived in the shadows of national security. If you’ve ever passed me walking down a street in Washington or Baltimore, you would never have looked twice in my direction. I’m not the suave, debonair secret agent type. In fact, I’ve got an Everyman face and physique that would never give you a clue to what I used to do — or the reputation I once had within the U.S. Intelligence Community. Modesty aside, I was, to the FBI, the CIA and the rest of the Intel community, what “Q” – the British Secret Service technical genius — was to James Bond, Ian Fleming’s dashing secret agent with a license to kill. I had a license to design the deadliest eavesdropping devices you can imagine, and some that will forever remain classified. I built and supplied bugs to the FBI, the CIA, the DEA, Secret Service and the intelligence commands of the Army, Navy and Air Force. With a hearing aid microphone smaller than a pea, a transistor, and a capacitor, I could build an eavesdropping device that, planted in the right location, could bring down a government, prevent a terrorist attack, or provide ammunition to a government law enforcement agency to smear a well-known American Civil Rights leader. * See Glossary of terms. I was considered to be the model for Harry Caul, the paranoid eavesdropping expert in Francis Ford Coppola’s 1974 post-Watergate drama, “The Conversation” and provided technical expertise for the film. In the 1995 film, “Enemy of the State,” I suggested and designed many of the eavesdropping dirty tricks used by actor Gene Hackman in the role of Edward Lyle, a rogue ex-NSA surveillance expert. I am essentially the Bill Gates of the U.S. eavesdropping biz, with less fame, and a lot less fortune. A Baltimore Sun columnist once referred to me as “the Michelangelo of Electronic Surveillance.” I was as good as it got and then some. This book is about my journey through the dark side of classified U.S. Intelligence operations, the high points, the low points, the colorful people with whom I worked, and the government agency that tried to destroy me when I blew the whistle on a “cut out” operation. My personal story is about growing up in a blue-collar family in the hard coal region of northeastern Pennsylvania, surviving years of physical and psychological abuse at the hands of my father, and finally breaking free to demonstrate my talents and intellect in all things mechanical and electronic. My story includes the intellectually challenging years of working for RCA Laboratories as a research technician in Princeton, New Jersey, and Barbados, West Indies, where I helped to develop the first U.S. anti-missile system, and how I accidentally happened upon a career in electronic surveillance. It was in this field that I established a reputation for excellence within the U.S. Intelligence Community, but then saw my reputation destroyed by the abuse of power of a federal agency. I make no apologies for the products I made or how they were used. Electronic surveillance, if used in a responsible manner, can provide the intelligence community with the information needed to save American lives. Now more than ever! I took tremendous pride in what I designed and built. There is a public misconception that those who make eavesdropping equipment for a living must be voyeurs who derive sadistic pleasure from violating an individual’s right to privacy. That’s not me. I hope the reader will understand that the technical side of countermeasure work always challenged me creatively and intellectually. In the end, it was the work itself that energized me not the process of secretly invading people’s lives. I fervently believe in our individual right to privacy and I am increasingly concerned about the American government’s encroachment of our Constitutional rights and protections. The cautionary tale in this book was the deliberate effort by the FBI and some of its agents to destroy me professionally. It is a story of how America’s most powerful law enforcement agency carried out a vendetta against a law-abiding citizen whose only crime was telling the truth under oath before a Congressional committee. As a result of my testimony before the National Wiretap Commission in 1975, I became a pariah within the Intelligence Community and was nearly driven into bankruptcy when my business dried up overnight and my clients stopped taking or returning my calls. It cost me $300,000 in legal fees and millions of dollars in lost business, money I needed at the time to protect my product inventions against piracy. The damage to my business, my professional reputation, and my health is inestimable and can never be recovered. I have no legal proof that the FBI intended to take revenge against me for my Congressional testimony, but it is the only reasonable and logical explanation for what transpired. If you read my story with a fair and open mind, I believe you will agree. This book also describes my experiences in conducting electronic countermeasures for corporate America and the relative ease with which this type of espionage takes place in the private sector. I discuss in detail the constant and growing use of electronic surveillance and invasion of privacy of all Americans in this post-9/11 era and the war on terrorism, and my concerns about where this trend is leading. In an appendix at the end of the book, I provide a primer on electronic surveillance and offer recommendations of how you can protect yourself and your company from any type of eavesdropping. Don’t get me wrong. I am an American patriot, born and raised in a region of the country that believed in a bumper sticker slogan popular in the l960s and l970s: “America – Love it or Leave it.” I’m well aware of the threat of terrorism, what it means for all Americans, and the tough job our intelligence and law enforcement agencies have in defending us against this scourge. I’m also a law-abiding citizen who wholeheartedly believes in the rule of law. I believe in the rights of the individual under the Constitution, particularly in the area of privacy, free speech and free enterprise. Unfortunately, there are individuals in the employ of the country’s most powerful law enforcement agency who let a personal agenda – to destroy me personally and professionally – take priority over their sworn allegiance to uphold the rule of law. Why did I wait so long to tell my story? Because in one respect the final chapter has not yet been written. My hope — perhaps a naive one – is that I will finally receive an acknowledgement or an apology from someone in the Justice Department that I did nothing wrong. Even after my testimony and the indictment on illegal wiretapping charges, I continued to believe that justice would be done. I remained silent because of concern and fear that I would only make things more difficult for my family and me by going public with what happened. But I’ve gradually come to realize that the clock will never be turned back. Restitution will not be part of my story. However, this story is not simply about me. It’s about the growing loss of privacy in the post –9/11 age of terror and the infringement of those freedoms by the reauthorization of the Patriot Act. It’s about private sector software downloadable from the Internet that can be used to secretly monitor your business competition’s emails, instant messages, programs, keystrokes—installed from a remote location. It’s also about the twenty acres of mainframe underground computers at the super secret National Security Agency (NSA –which wags say stands for No Such Agency ) at Fort Meade, Maryland, that eavesdrop on all Americans’ telephone, cell phone, fax, and email conversations with classified, pre-programmed, target-word recognition systems. The moment they hear or read words like “bomb,” “jihad,” “Praise Allah,” “Osama bin Laden,” or hundreds of other phrases with an identified national security risk factor, those conversations are recorded and copied without individual or court approval and an investigation is launched.Now is a perfect time to tell my story. Robert S. Stokes is a freelance writer, novelist, playwright, and a former journalist with more than 30 years reporting for magazines, wire service, and daily newspapers. 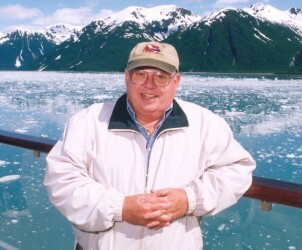 Mr. Stokes' reporting career included The Associated Press in Boston and Providence, R.I.; Newsweek Magazine, Vietnam (1967-1968 - Khe Sanh, the Tet Offensive and 10 bylined pieces) and the Chicago bureau where he covered politics and culture including the Chicago Seven Trial (1968-1970). He was an associate editor at Life Magazine in the early 1970s where he reported on the Attica Prison Riot and wrote a special report on Cuban Immigration to the U.S. His other journalism experiences included The Asbury Park Press (NJ), where he won several state awards for feature writing and investigative reporting and as a senior editor for several business newsletters. He was a speechwriter and provided editorial support for two US Senators; and was Chief Investigator for the U.S. Senate Committee on Labor and Human Resources (1992-1996). Mr. Stokes was also contracted by Ruder Finn in the mid-l980s to manage a team of communications specialists training the Jamaican Government Information Services and advising the Office of the Prime Minister on PR and media issues. Mr. Stokes' novel “Walking Wounded,” was published by Dell, 1980 and “A Place Called Heartbreak,” a drama about POWs in Hanoi, was produced Off-Broadway at the Clurman Theatre. Mr. Stokes has won awards for poetry and short fiction from the Trumbull (CT) Art Festival. He has also taught news writing, feature writing, business communications, and crisis management for more than a decade at various colleges and universities including Brookdale Community College, Brookdale, NJ; Brooklyn College; The School of Visual Arts, NYC; American University, Washington D.C.; Southern Connecticut State University, New Haven; and University of Connecticut-Stamford. Mr. Stokes has written investor relations promotional copy for The Garrard Group and brochure copy for SACIA, The Business Council of Southwestern Connecticut. Mr. Stokes is an editorial consultant to Steven Gaines Communications, Fairfield, CT. He is a frequent contributor to the Op-Ed pages of The Stamford Advocate and the Hartford Courant. Mr. Stokes lives in Westport, CT.
Reprinted courtesy of Publishers Weekly. Copyright © Reed Business Information, a division of Reed Elsevier Inc.
Modesty aside, says electronic surveillance expert Kaiser, “I was to the FBI, and the CIA, and the rest of the intel community, what ‘Q’ - the British Secret Service technical genius - was to James Bond.” And Kaiser, who consulted on the 1998 film Enemy of the State, which he says is loosely based on his story, first made his name in the late 1950s and early ‘60s, when he helped develop a missile-detecting system. Eventually he began making “bugs” for the FBI and CIA as well as private companies. But after his 1975 testimony before the House of Representatives about his work in government intelligence, the FBI, he says, came after him. He was indicted for illegal wiretapping and other crimes, and while he was acquitted on all charges, his business was ruined and he suffered an emotional breakdown that he attributes, in part, to childhood abuse. Kaiser ends the book with a chapter about the lack of privacy in America today - and while some of his warnings seem alarmist, his background will make readers of this compelling and sympathetic book (written with journalist and novelist Stokes) think twice. During the Summer of 1966, an electronics genius accidentally stumbled into the intelligence business and virtually over night became a legend within the halls of the FBI, CIA, and intelligence agencies allover the globe. This book is the memoirs of Martin L. Kaiser, known also simply as "Marty". His little black boxes has brought down entire governments or administrations, and even almost 40 years in the business his products are as revered and sought after as Holy Relics. For the first time ever an insider who supplied classified bugs for decades comes in from the cold and exposes the soft underbelly of corruption within the CIA, NSA, and FBI. Hollywood has even produced two movies about this quiet genius without actually mentioning him by name. But now the governments secrets are out of the bag, and this book lays them bare. The book is filled from cover to cover with explicit details of how the intelligence agencies operate, how they buy their toys, how their little games are played, and what happens to people who expose corruption. The author also discusses his consulting work for several movies including "The Conversation" and "Enemy of the State", both of which are based partially on his life. We also get to share both his joy and his pain in this book. 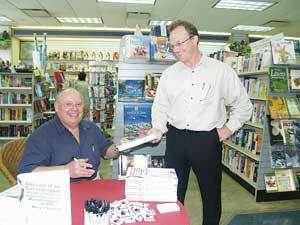 Click here to see what the CaymanNetNews had to say after a book signing on Grand Cayman. Unlike Patrick Radden Keefe's recent Chatter: Dispatches from the Secret World of Global Eavesdropping, this book is by a true insider. 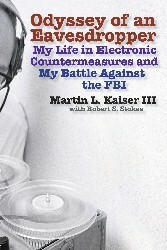 Kaiser was involved with the FBI at the height of illegal federal surveillance in the 1960s and 1970s. He details his beginnings as an RCA technician and his stints building eavesdropping devices under contract to the FBI, CIA, DEA, and a host of other domestic and foreign security agencies. The results are truly fascinating, with lurid details about spying by the Soviets, the FBI, and rogue ex-agents. The crux of the book is Kaiser's 1975 exposé, in testimony to the National Wiretap Commission, of FBI misdeeds, which he says triggered years of retribution by the agency and its proxies. After a nervous breakdowns and the near failure of his business, the author turned to presiding over a company that makes eavesdropping devices and bomb detection equipment. 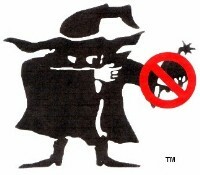 His cautionary tale includes detailed advice on the use of bugging equipment and how to detect and avoid surveillance. He was also a consultant to films such as The Conversation, The Matrix, and Enemy of the State and describes how his expertise helped make the movies more realistic. Our government has many patriotic symbols. For instance, the CIA seal signifies strength, alertness, defense and intelligence. Every color and symbol on the FBI seal also has a special significance, the dominant blue representing justice. When Michael German was an FBI agent and discovered the mishandling of a terror investigation going on in Florida, he reported it to his boss. Instead of using the information for the protection of our country, German was ridiculed and retaliated by the bureau. When Joseph Wilson reacted to the inaccurate sixteen words that President Bush incorporated in his State of the Union address, Wilson's Central Intelligent Agent wife, Valerie Plame, was outed--by who exactly is still being determined. After being with the FBI for twenty-four years, Jane Turner was escorted from her office for complaining about various wrongdoings of her agency. Of course these people knew the risk having this type of career, but it is unlikely that they thought their own government agency, characterized by the heraldry of the aforementioned seal, would be the one to turn against them. Unlike the previous names, Martin Kaiser III was not an agent but a businessman who had a successful career in electronic surveillance. His clients included the CIA, DEA, Secret Service, Army, Navy, Air Force Intelligence and the FBI. Kaiser's business was lucrative until his 1975 testimony before the House of Representatives proved to nearly ruin his life and career. In ODYSSEY OF AN EAVESDROPPER: My Life in Electronic Countermeasures and My Battle Against the FBI, (Carroll & Graf, January 10, 2006) Kaiser, along with co-author Robert S. Stokes, details how he was subjected to one court appearance after another with all sorts of harassments in between after he had exposed certain pricing invoice irregularities for his equipment and the services he provided for the Federal Bureau of Investigation. After his testimony, FBI agents attempted to get Kaiser to repudiate what he'd said under oath. There was also the sudden appearance of an auditor who interrogated Kaiser, making the timing seem less like a coincidence and more like instigation on someone's behalf. There were also unsuccessful attempts to set Kaiser up for violations of wiretapping. Due to his knowledge of state-of-the-art gadgets, Kaiser served as a technical adviser for the movies The Conversation and Enemy of the State. That said, this fascinating memoir is filled with details in electronic surveillance that will certainly intrigue James Bond aficionados. However, unlike the resilient Ian Fleming character, even though he was vindicated, Kaiser, who was known in the industry as the Michelangelo of Electronic Surveillance, did suffer damage due to the vendetta against him. Besides having to spend years to clear his reputation, which drastically hurt his career, his family life also took some major hits. His story begs the question, how can this happen when the FBI's motto states: Fidelity, Bravery, Integrity? One of the more alarming elements in Odyssey of an Eavesdropper is the final chapter titled The Future of Privacy in America-Or What's Left of It. Kaiser warns that we need to look more closely at some of the technological wonders that can palliate some of life's everyday annoyances. Perhaps we should be more concerned and less amazed that a security system miles away is able to open a locked car door. And, even though those identification tags that are embedded in clothing can track the shipment, they may also be able to track the person eventually wearing the garment. With these ostensible conveniences, we are rapidly forfeiting our privacy. Granted, we are long past 1984, but Orwell's protagonist, Winston Smith with his fear of Big Brother, is no longer just a cautionary tale. There's really no turning back in today's computer age, and Kaiser's very real account should be the reminder. Michael German resigned from the FBI in June 2004. Valerie Plame, who recently retired from the CIA, is now a household name. And Jane Turner has taken legal action to make the FBI accountable for its misconduct. Martin Kaiser is now the president of his own electronics company, as well as the author of an extremely relevant memoir, published by Carroll & Graf, which also happened to be the publisher for Joseph Wilson's The Politics of Truth. Bravo for bringing these stories to print, but the questions remain: Is it because of these patriotic symbols that our own court system is hesitant to protect the whistleblowers? If so, will it be only a matter of time when these stories are kept from publication due to so-called lack of patriotism?